Paddy O'Prado, a Grade 1 winner and classic-placed runner, died in Turkey prior to the 2018 breeding season following a paddock injury, BloodHorse reports. The son of El Prado was exported to Turkey at the conclusion of the 2017 U.S. breeding season, and resided at Evicmen Harasi for the remainder of the year. However, an officer with the Jockey Club of Turkey told BloodHorse the stallion's injury came before he could cover a single mare. Paddy O'Prado retired to stud at Spendthrift Farm in 2011, and he stood there for all seven of his U.S. seasons. 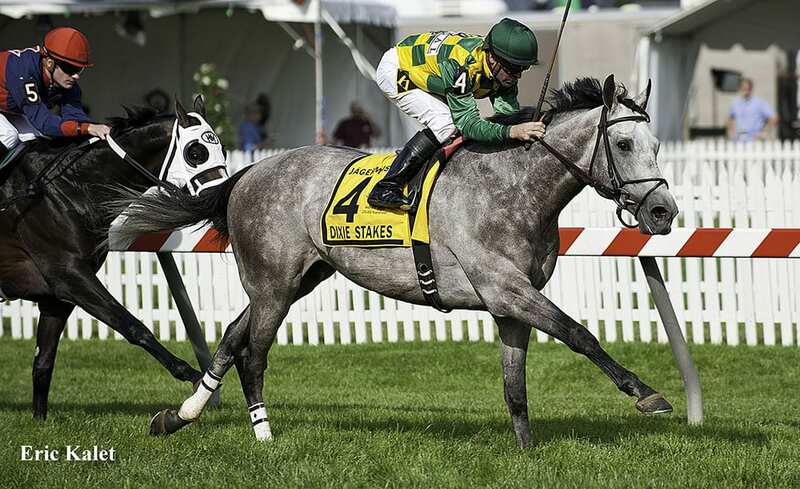 His most notable runners include Preakness Stakes runner-up Cherry Wine, and Grade 3 winners Sweeping Paddy and O'Kratos. Paddy O'Prado retired with five wins in 14 starts for earnings of $1,721,297. He earned victories in the Grade 1 Secretariat Stakes, G2 Dixie Stakes, Virginia Derby, Colonial Turf Cup Stakes, and G3 Palm Beach Stakes. He also finished third to Super Saver in the 2010 Kentucky Derby. This entry was posted in Bloodstock, NL List and tagged cherry wine, Evicmen Harasi, jockey club of turkey, o'kratos, Paddy O'Prado, sweeping paddy, turkey by Paulick Report Staff. Bookmark the permalink.